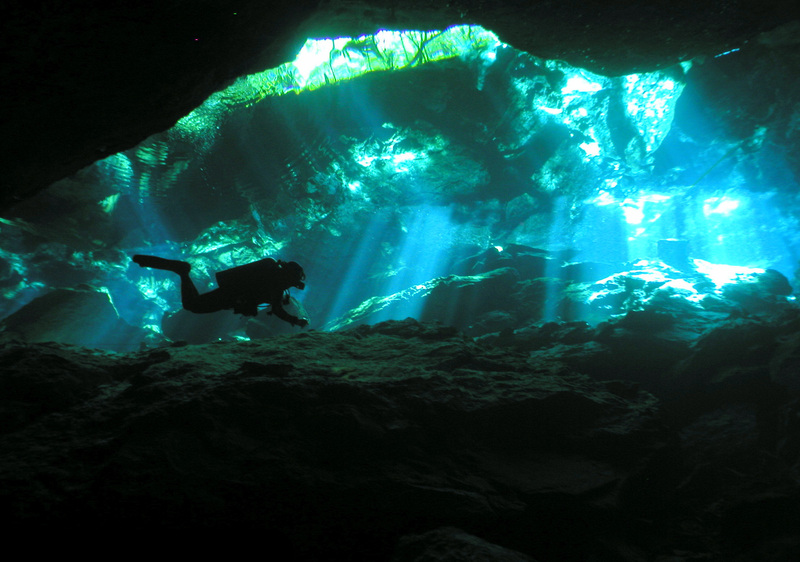 What Are the Cenotes In The Riviera Maya? For many years I had the pleasure to work as an instructor in the Riviera Maya, and most importantly, I was lucky enough to become a cavern guide. The Cenotes in the Riviera Maya are sinkholes that open into a really extensive subterranean river system in the Yucatan Peninsula (Mexico), and form a large underwater cave and cavern system. 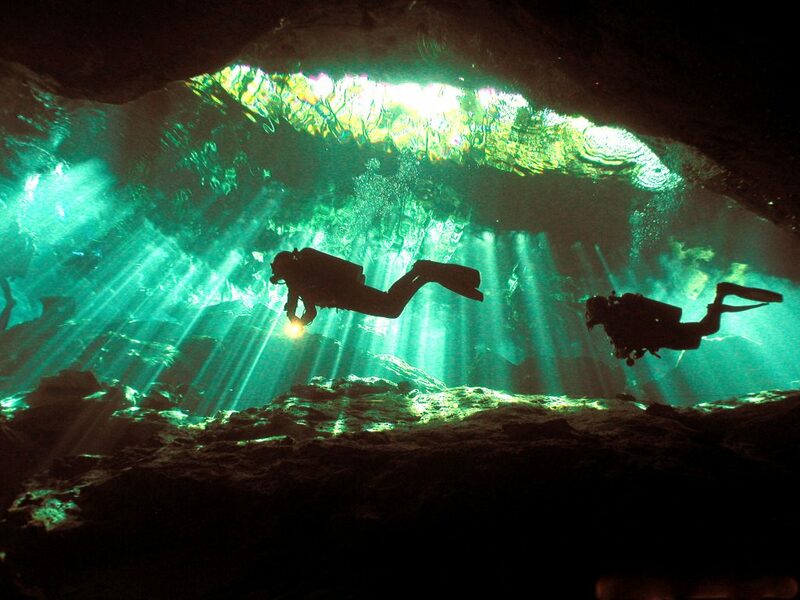 You can dive in these amazing caves with the full cave diver certification. 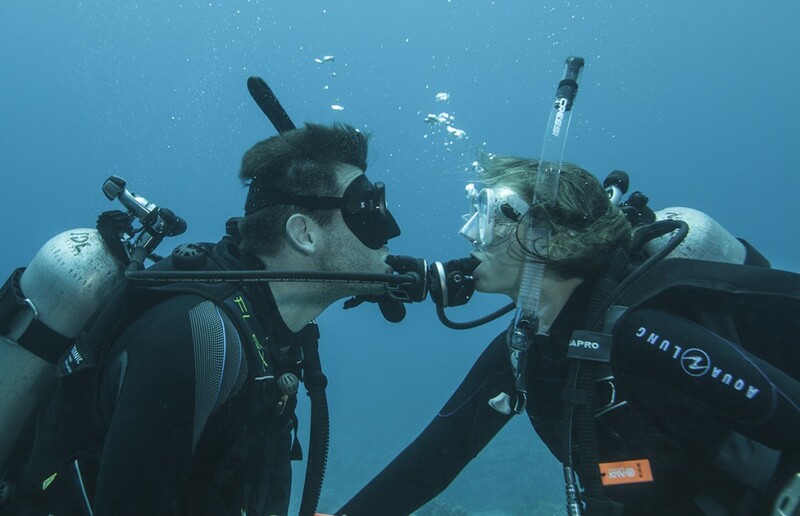 You can also dive in the cavern area under the supervision of a qualified instructor/cave diver. To understand a little bit more what the Cenotes in the Riviera Maya are, here you have a brief story on their formation. During the different ice ages – a time when the ocean levels were much lower than they are today – a gigantic coral reef area became exposed to the atmosphere and eventually became the Yucatan Peninsula. Several large cave and cavern systems were formed when the water penetrated gradually the coral limestone, dissolving this very porous rock. Inside these tunnels the geological formations such as stalactites and stalagmites were formed during that time as well, drop by drop. Many parts of the ceiling of these tunnels eventually collapsed forming different Cenotes or the entrances to the underground system. For that reason, the Cenotes in the Riviera Maya are also called sinkholes because of the ceilings caving in. With time the sea levels increased flooding these tunnels and forming, along with fresh water from the rain, the underwater river system. Cenotes in the Riviera Maya – What is there to see? To be able to see the amazing formations (the ancient stalactites, stalagmites & the gigantic columns), experience the weird visual effect caused by the halocline (blurry effect), the amazing colors we see when the sun light penetrates the water, the fossils that are millions of years old… everything seems really magical. That was the key word that always came into my mind: the Cenotes in the Riviera Maya are a MAGICAL place. It is an actual “natural museum”, and they were a sacred place to the ancient Mayan civilization. The Mayans believed these “holes” were the passage to the underworld, where different gods lived. Besides of what you can see in the Cenotes in the Riviera Maya, for me it was always more about the feeling of diving there. It always was simply amazing! You are immersed in this magical environment, which feels completely like a different world. The water is so unbelievably clear (over a 100 mts./300 feet visibility) that you feel like you are flying there, that there is no water around you, that you are floating in air while admiring the beauty of this mysterious place… You just have to see it. What Do You Think About The Cenotes In the Riviera Maya? I would love to hear some of your opinions on the Cenotes in the Riviera Maya, if you ever have been there. 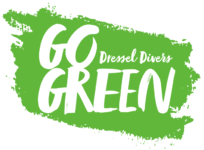 All of them are really different and special, and I would be happy to give you any recommendations or advice on the different Cenotes you can visit there. I would love to hear about your experiences in this magical underground world! 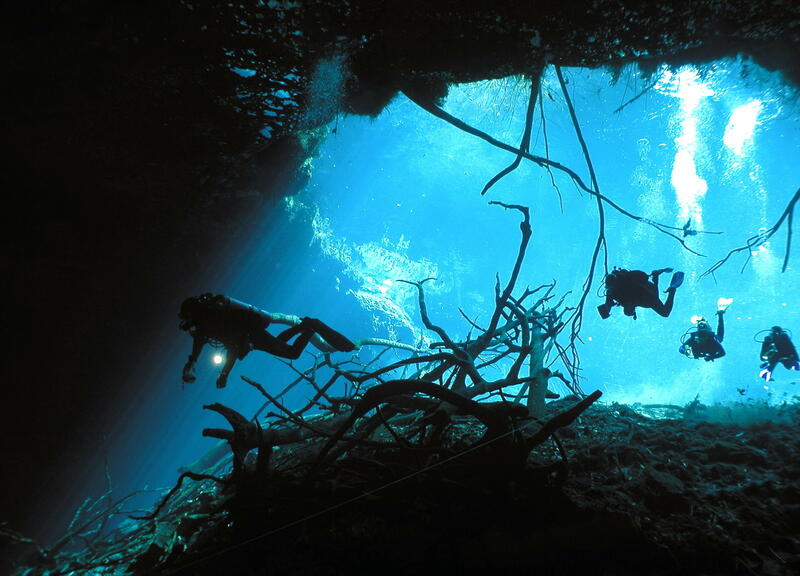 This article about the Cenotes in the Riviera Maya has been done thanks to the help of Lucia Osorio. 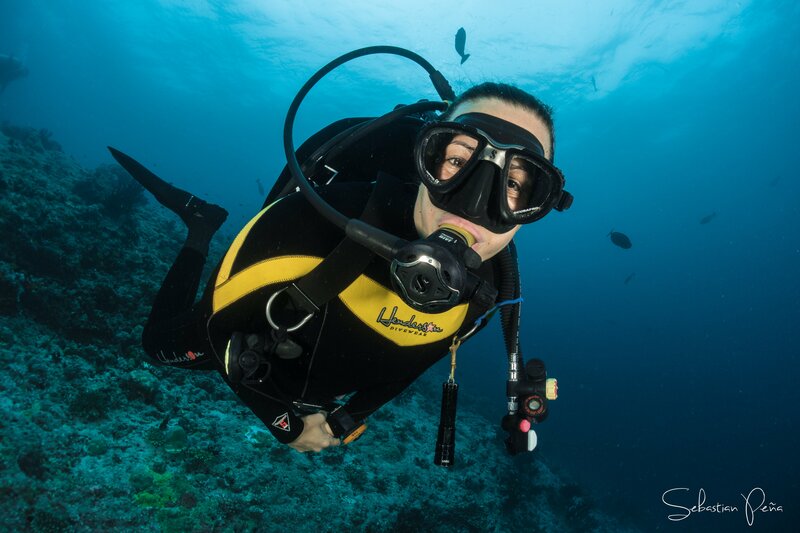 She is an Uruguayan PADI instructor, who has been working with Dressel Divers for 10 years now. As a full cave diver she was part of our excursion team, guiding in the Cenotes in the Riviera Maya while working in Mexico. Lucia loves the Mexican Cenotes, she believes that these caves and caverns are truly a magical place to dive and that every person traveling in the area should do this at least once. 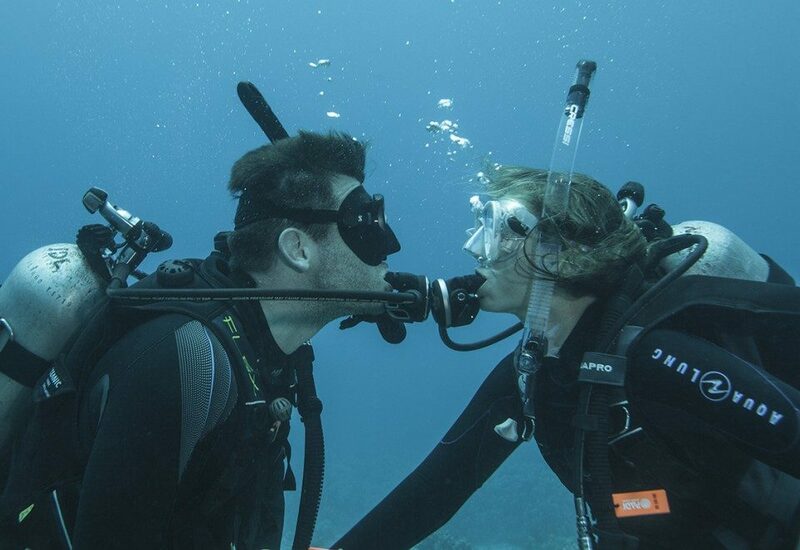 She also worked almost 2 years as a videographer and loves diving with the camera as well.